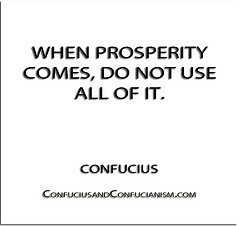 What is Prosperity and how do you get there? Economic prosperity is not really a road! In fact, it may not be much more than a path. It is not a location and it can only lead you to a goal. It is filled with many curves, dead ends, U-turns, attractions, amusements, distractions and pitfalls. Google or Yahoo maps will not help you get there! It starts with a goal and a plan. It is taking that dream you have and making it a reality! What stops you? Is it fear of the unknown or ignorance? Ignorance can be cured, if you are willing to do something about it. I often hear young people complain about their chosen career or job. They are always looking for something! I am and did too, but running to something will only become serial unless you have a specific goal and plan. Take some time to figure out what you want! Remember, it is not enough to just say you want to have your own business or become rich. Everyone knows this, but choose to ignore it! Is it really that difficult? I think the difficulty is figuring out the goal. Everyone wants to be passionate about what they do. If there is no passion, you cannot fabricate it. I tell my students to pick something they enjoy doing for twenty (20) hours a day. They look at me like I just suggested that they jump off the building. They haven’t found their passion so the advice is meaningless. Start with things you enjoy and turn it into a career. It may be a hobby, a class or something that you spend a lot of time doing. Sports is not only for elite athletes, it can be for accountants, lawyers, trainers, doctors, manufacturers, etc. You need to expand your thinking and horizon for your career and life goals. My approach is to start with the outcome and work backwards. Last April, I wrote an article called Do Your Resume Backwards that details how you should do it. Taking a dream and turning it into a goal is not enough! I call that a wish. You need a plan to make it happen. A plan may not be enough unless you monitor your progress and adjust your efforts to reach your goal. Sounds simple, but there is a reason very few people succeed. The biggest reason for failure is not spending the time to figure out what you want. Planning goals in life should include career, personal finances, residence, business (if interested), marriage, children and much more. Then you need a plan to make it happen. It all starts with a goal and a plan! I often see people state something as a goal and it really isn’t! I like SMART goals as a way to create goals. A SMART goal is specific, measurable, attainable, relevant and time bound. To make goals specific, you must know what is expected, why is it important, who’s involved, where is it going to happen and which attributes are important. Measuring progress keeps you on track, reach target dates and adjust your efforts to achieve goals. Goals must be realistic and attainable otherwise you will just be frustrated! A goal that supports other goals or vision would be considered a relevant or worthwhile goal. Last, you must have a time frame or target date. A goal and a plan,! A goal without a plan is just a wish! A plan is typically any diagram or list of steps with timing and resources, used to achieve an objective. I think of it more like a road map. If you had to travel to some place you never went to before, you would need a map to get there. Shot term goals are typically achieved in a day, week or a few months. You may or may not need much of a plan to achieve it. Long term goals usually are for a longer period of time such as a semester, one, five or ten years or longer. Having a detailed plan to help you achieve your goals is very important for long term goals. Part of that planning is establishing short, medium and long term objectives within the plan to achieve the long range goal. Monitoring the short term objectives and adjusting your efforts is very important to holding yourself accountable for your efforts. A plan keeps you accountable for your efforts! Monitoring your progress daily/weekly/monthly gives you the information so you adjust your efforts to achieve your goal. My plan includes the daily tasks that I need to perform in order to meet my weekly objectives or monthly milestones. These are the steps in a plan that helps me achieve my goals one step at a time. It also takes a very large long term goal and breaks it down into small pieces that are achievable. This may be one of the most important parts of a plan! It helps you achieve big goals over time and holds you accountable on a time table. Success in life is not easy! It takes a lot of hard work and effort. It takes goals and a plan to succeed. It is not a five (5) minute exercise! You have to spend as much time as necessary to create goals and a plan to make things happen. Many think the rich successful people are born that way or are just lucky. Neither is true! Yes, you become luckier if you work hard, have skills and experience. I think most people think more about what they are going to have for dinner than their career or something else they want to achieve. Take the time to set goals and establish a plan that will move you toward your dream. Economic prosperity is up to you!